Energy storage for utility and commercial/industrial scale entities has existed for quite some time. Start off your Solar+Storage Track with this introduction to the history of large scale energy storage. The workshop will review the storage methods used to date with an emphasis toward the storage technology that is currently being deployed and represents 96% of utility energy storage systems today. Christopher is an IREC Certified Master Trainer and is a NABCEP Certified Photovoltaic (PV) Installation Professional (ID# 041704-24). He has run Great Northern Solar for 28 years. Great Northern Solar has designed, specified, sold, and deployed systems since 1988 for both the grid-intertie and off-grid markets. He has worked to develop documents regarding 'Establishing Training in Solar Business Development and Sales' and 'Best Practices for Designing a Solar Electric (PV) Lab' as a member of the IREC Subject Matter Expert Team. Chris has been an instructor with the Midwest Renewable Energy Association since 1993, Teaching Advanced PV design and installation. 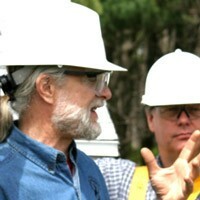 Christopher has developed training for contractors, administrators, project managers, and the public. Clients have included the City of Minneapolis-MN, Hennepin, and St. Louis County in MN, as well as the Madison Area Technical College and several other colleges. He has trained many electrical contractors in the greater Midwest and beyond.